Only when our mind is calm can we create the fertile conditions for peace to flourish. And when we take some time to examine the mind, we can see that peace is not something abstract that is ‘out there,’ but it is ‘in here,’ in the here and now. Peace is, like compassion and wisdom, part of our innate nature, our Inner Wealth. It is not to be created, but discovered and nurtured. On this United Nations International Day of Peace, may we all take some time to reflect on the nature of our minds. By doing so, we will naturally fertilise the innate seed of peace, first in our hearts, and then for all sentient beings. 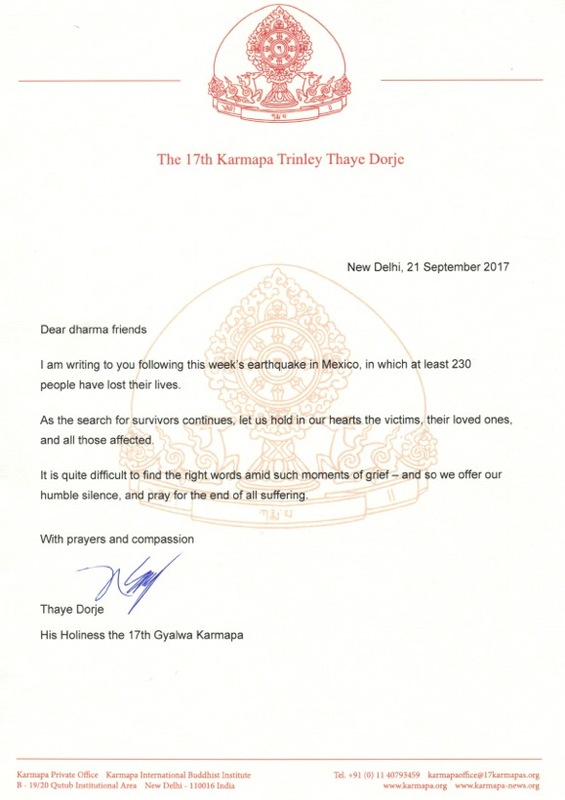 Thaye Dorje, His Holiness the 17th Gyalwa Karmapa, offers the following letter of condolence following this week’s earthquake in Mexico. I am writing to you following this week’s earthquake in Mexico, in which at least 230 people have lost their lives. As the search for survivors continues, let us hold in our hearts the victims, their loved ones, and all those affected. It is quite difficult to find the right words amid such moments of grief – and so we offer our humble silence, and pray for the end of all suffering. Soon I will be departing for my third visit to the Kuching Karma Kagyu Dharma Society. I went there for the first time in late 1999, during my first tour abroad, and then once again in late 2006. I share this message in the hope that many dharma friends will be able to join me for my 2017 visit. 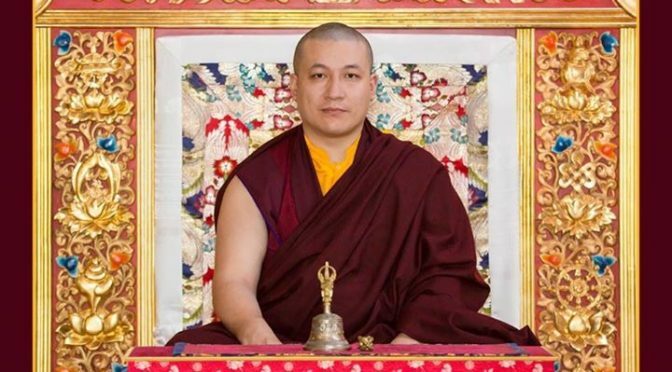 Kuching Karma Kagyu Dharma Society is one of our oldest centres – in fact, the first seed for it was planted by none other than my predecessor, Ranjung Rigpey Dorje, His Holiness the 16th Gyalwa Karmapa, when he visited Kuching in 1980. Soon to follow was a visit by my late teacher, His Holiness Shamar Rinpoche. This eventually led to the official registration of the first Karma Kagyu centre in Sarawak in 1984. I have known many of the members of the centre for many, many years, and during my past two visits, I have felt inspired by their genuine devotion and faith in the Buddha dharma. I look forward to meeting all of these old dharma friends again, as well as connecting with many new ones. I am particularly pleased that the programme will include the first Kagyu Monlam ever to be held in Kuching. 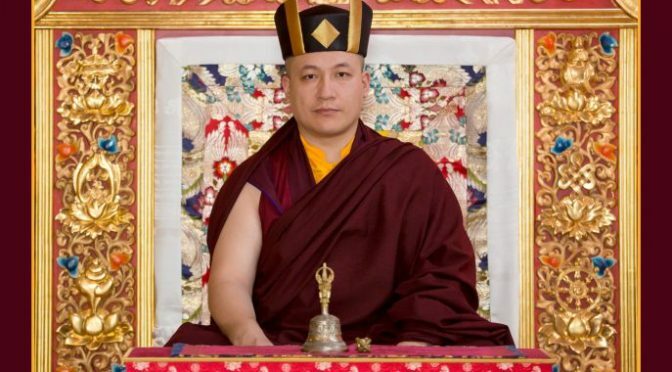 The practice of the Kagyu Monlam focuses on making aspirations together. 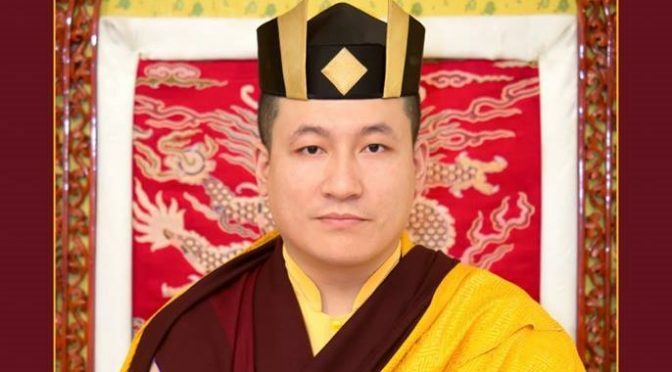 We will recite various aspiration prayers composed by great realised beings, with a particular emphasis on Samantabhadra’s King of Aspiration Prayers. Aspirations are very powerful, because they go to the depths of our consciousness. Though we all wish and aspire for many things, it is not common for us to do so with full awareness. In fact, most of us are not really aware of the power of aspirations, or how to utilise them effectively. If we are able to utilise this tool properly, we will be able to accomplish our daily needs and wishes, and contribute to peace and good conditions for ourselves and all other beings. More than that, aspirations will eventually help us to understand our own nature better, and to recognise our kind and loving nature. I am truly glad that we will be able to engage in this wonderful practice together, and it is my hope and wish that many students will make use of this opportunity by joining in these accumulations.